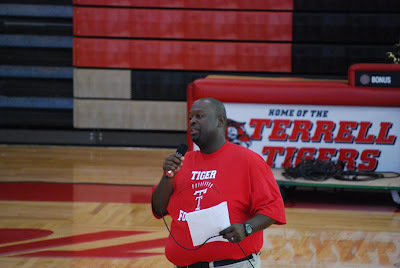 Terrell Daily Photo: Tiger Up! The football team opens play Saturday night on the road. 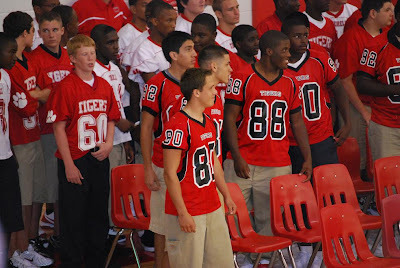 Coach Gilbert introduced us the the 2009 varsity team at Meet the Tiger. 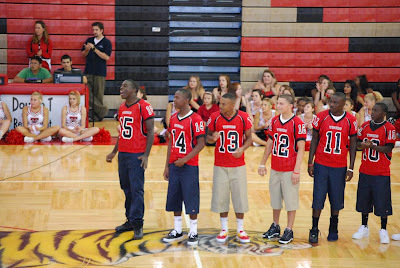 Varsity players line up after being introduced. 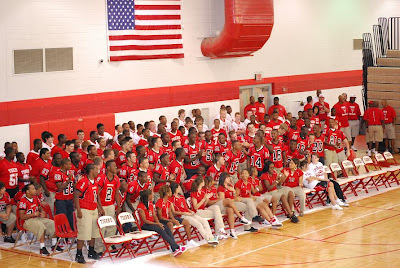 Group shot of the volleyball team and all of the football squads. Players waiting to make the walk.